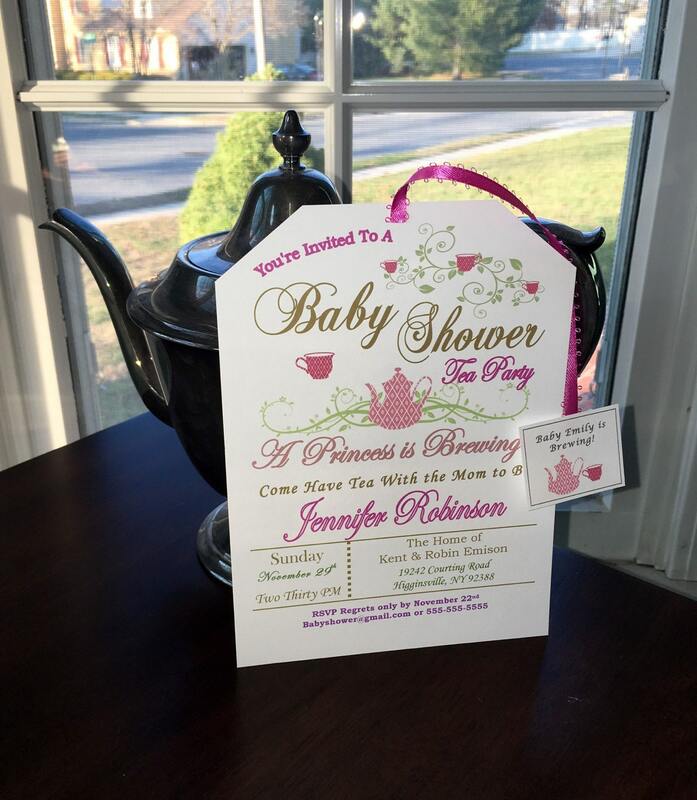 Custom, hand-crafted, made to order, tea party baby shower invitations! 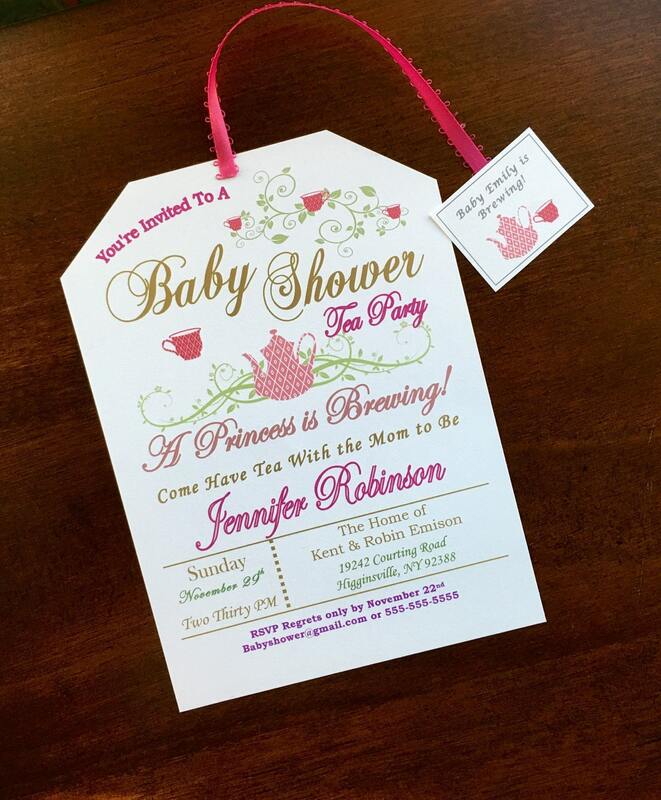 A tea party baby shower is the new trend for baby showers and these invitations are perfect for the occasion! 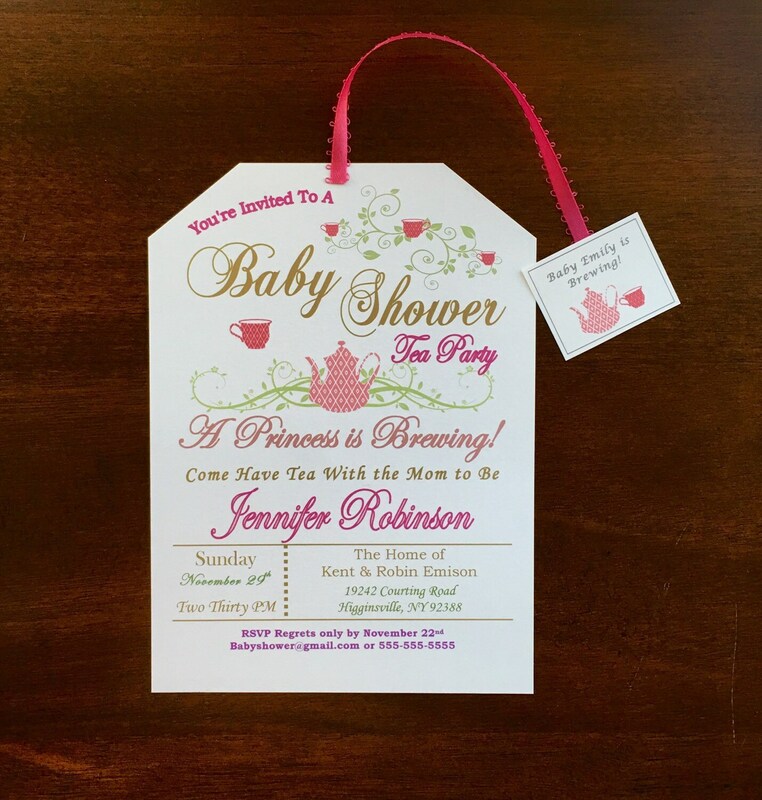 I have SO many varieties of tea bags in my shop, printable and custom made. Check them and see what you like best! Thanks! 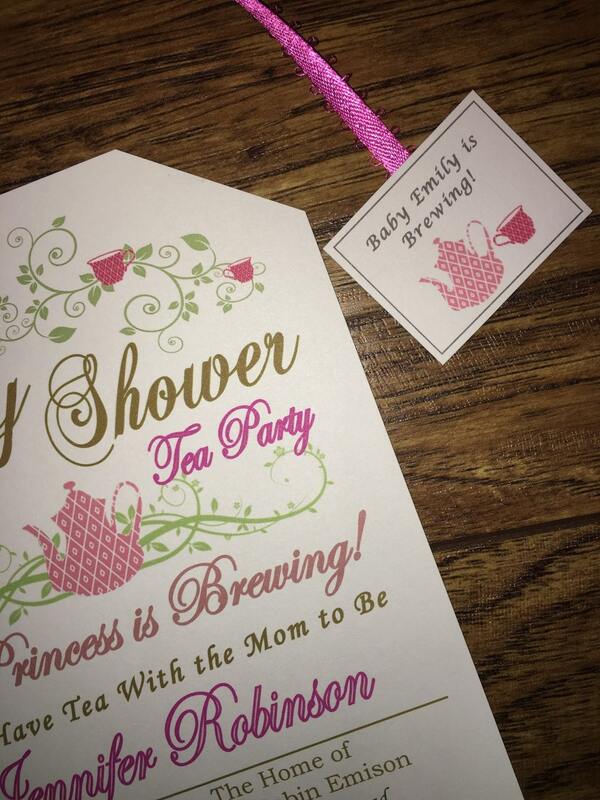 Matching, personalized thank you cards for the mom to be are available in my shop. 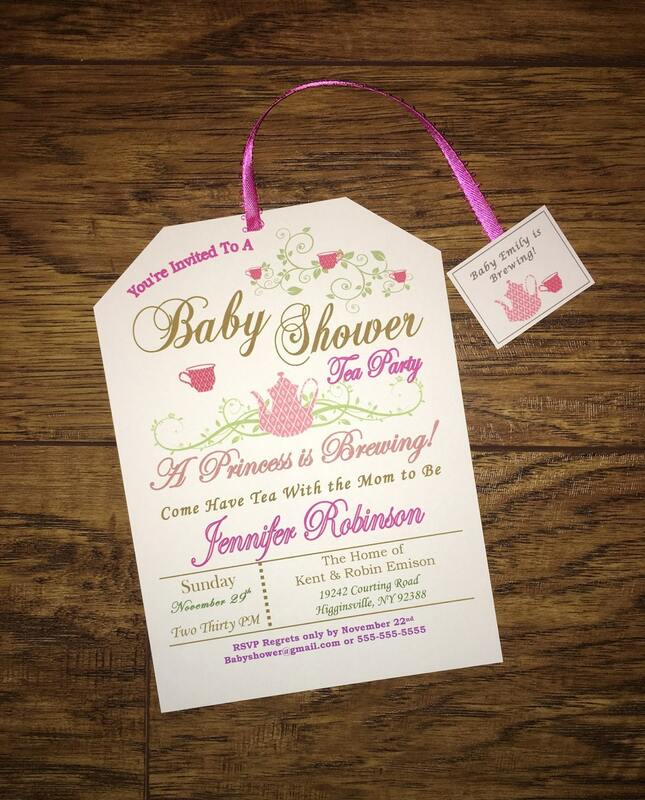 Beautiful invitations and great customer service. Very quick delivery also! Adorable! Colors were modified to match the theme & seller was extremely accommodating and kind. They came very quick, too!